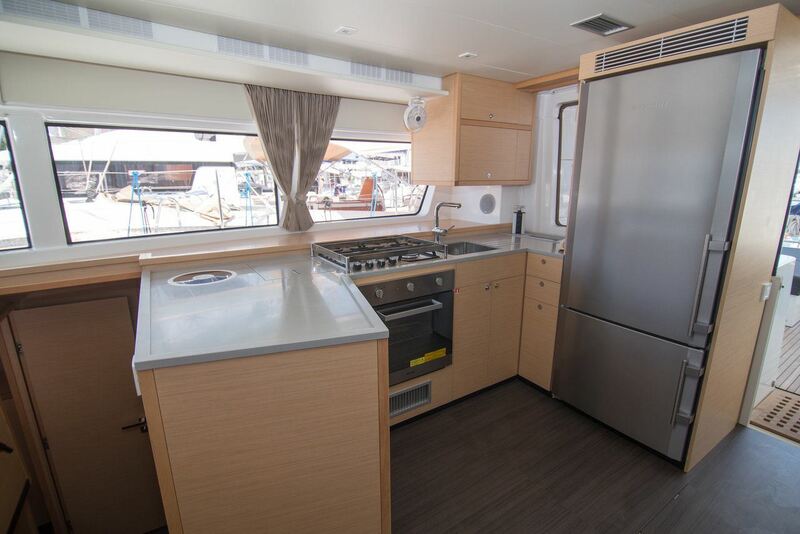 If you want to make sure you have a wonderful holiday, and value excellent on-board service, then this is the catamaran you’ve been looking for. Experience the pleasure of sailing in the majestic 52 Grand Luxe Lagoon. Its space, habitability, comfort, stability, elegance, and safety, and the finishing of the facilities, mean an unforgettable experience. All of this along with our unbeatable crew, exclusively dedicated to the Star catamaran, and our desire to do things well, are what make us stand out from the rest. Even on the first day, you’ll realise that it was worth choosing the Star catamaran for your holiday with family or friends in Ibiza, Formentera, or the other Balearic islands; and on the last day, all you’ll want to do is repeat the experience as soon as possible with us. 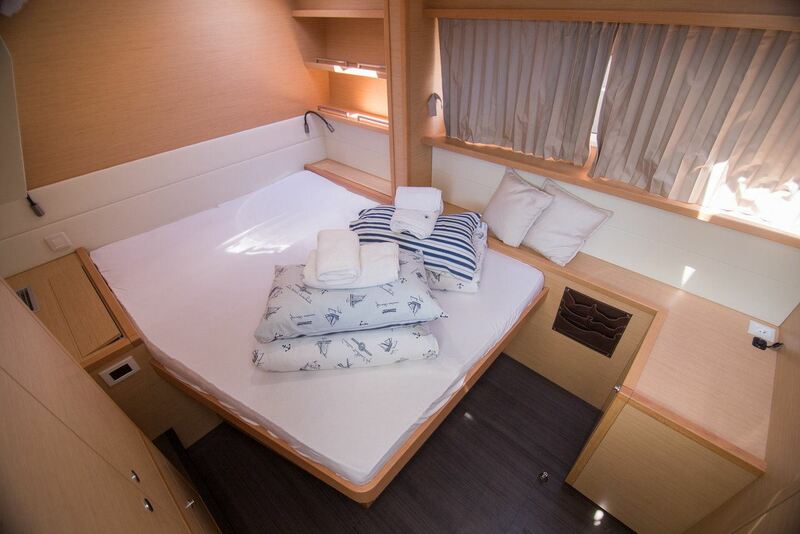 Its 16-metre length and 9-metre beam make the catamaran a comfortable 200 square metre floating villa, divided into three sections that make sailing and being on-board a gift for the five senses. New and fully-equipped, it has four luxurious suites with 160cm-wide beds, full bathrooms and independent air conditioning in each. 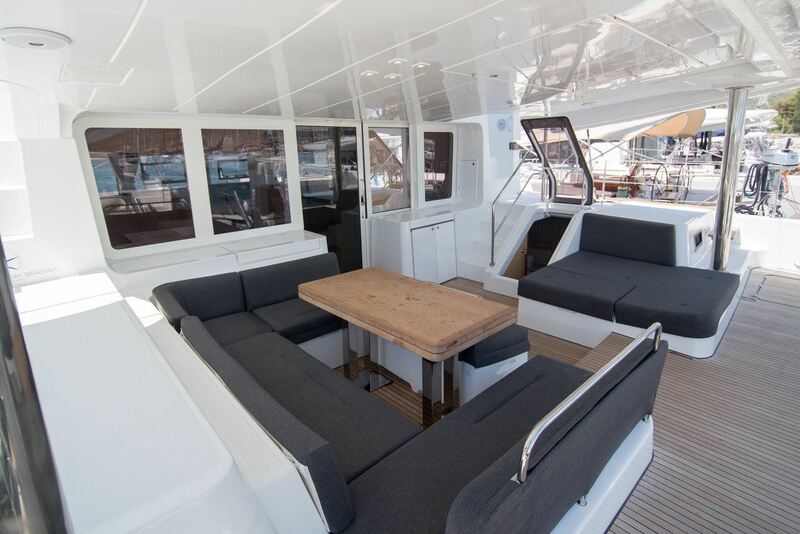 It comes with all the extras that Lagoon provides on its high quality boats to make the voyage more as comfortable and safe as possible. 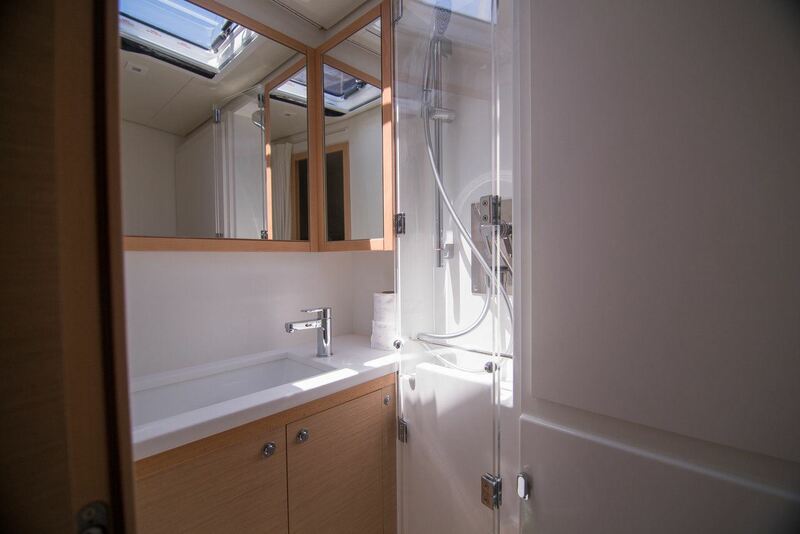 The bathroom, terrace and fly floors are finished in teak, the boat has Bose Bluetooth hi-fi, televisions fitted with Chromecast in the living-room and stern suites, an ice-maker, water purification system, generator, solar panels, washing machine/tumble drier, a large 4-metre auxiliary vessel that means getting onto dry land is simple, satellite telephone, and all the safety equipment needed to go round the world. 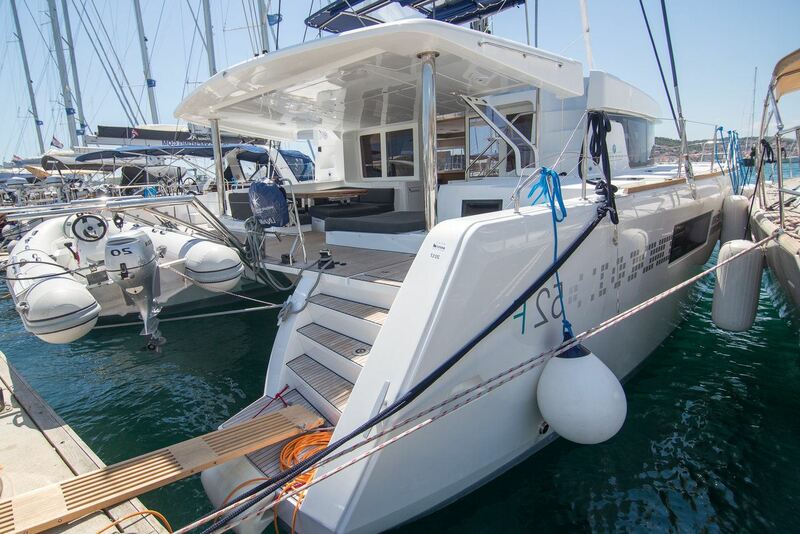 You can forget about the shopping and organisation, we’ll take care of absolutely everything so that you can enjoy your Mediterranean holiday from start to finish on board this new, wonderful catamaran with a charming crew, and excellent, top quality service. Thank you! What does the price include? Requirements: Boarding and disembarking can take place at our mooring in the port of San Antonio or anywhere in Ibiza. When children are on board, as well as the safety net, we lock the rear of the catamaran so that the perimeter is totally enclosed. Cancellation Policy:Cancellation is required at least 48 hours prior to time of reservation to avoid being charged rental fee in full.